The glass is neither half-full nor half-empty; it’s twice as big as it needs to be. What I read on my holidays – Uber Geek Edition! 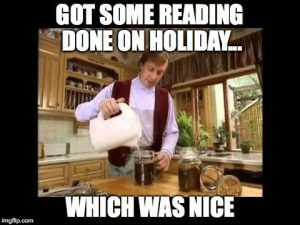 As I would prefer not to go to prison, instead we had a pretty chilled out week at a resort and I was able to get a wee bit of reading in; which was nice! Typically I like to vary my reading between something for enjoyment, followed by something educational, then rinse and repeat. The former is generally some kind of fiction, especially science fiction / fantasy / humour. IMO, Terry Pratchett was a true genius and is my favourite author by a huge margin, and he manages to achieve all three of these categories, and then some! Unfortunately, Terry passed away in March last year, leaving millions of fans deeply saddened. The two fiction books below were in fact originally recommended by him, and I would certainly echo this recommendation! I was fortunate enough to see Guiseppe present on OpenStack at this year’s Tech Unplugged event in London (see playlist of YouTube vids here and Guiseppe’s session recording is here), at the end of which he gave everyone a copy of his book for nothing, except the ask that we donated some money to charity for it. Very honourable indeed! 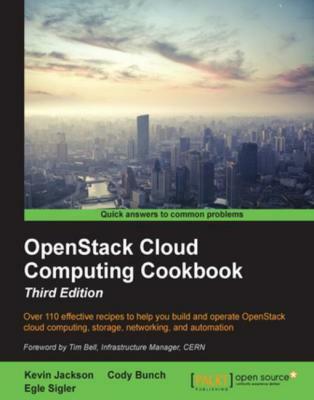 Guiseppe’s book is a great intro to all of the basics elements of OpenStack and what they do; well worth the cost of a donation for a download! As an ex-press officer in the civil nuclear industry, Pratchett described this as the book he should have written! The satirical black comedy focuses around our hero, Roy Tappen, who accidentally smuggles a “pit” (i.e. a nuclear warhead core!) out of the nuclear weapons research facility he (regrettably) works in! Needless to say, his wife is none too impressed with him keeping a multi-megatonne explosive source in the house, and hilarity ensues as Roy plots to smuggle it back into work! Parts of this book had me in stitches; well worth a read! I currently have the second edition of their book so it’s not 100% up to date, but as I was on holiday I wasn’t actually running through the labs specifically. 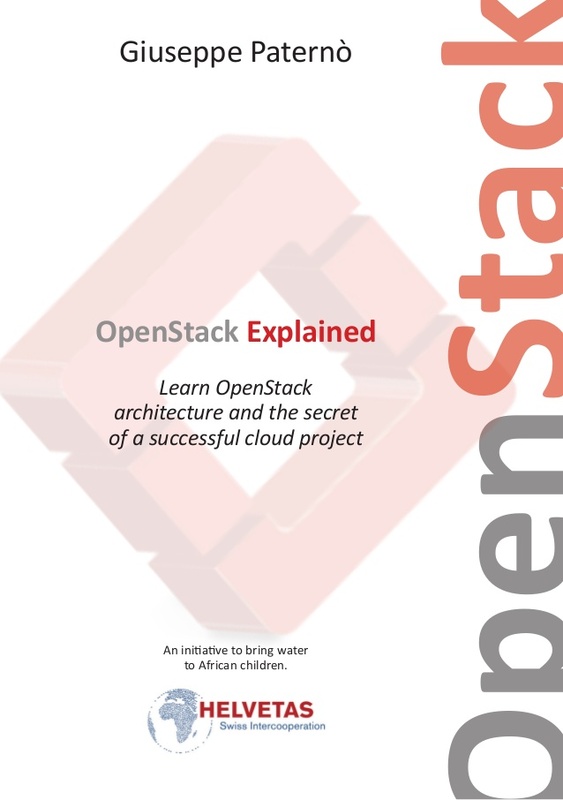 Instead, I read the main content in each section to get a better understanding of how each of the OpenStack components connect together. The book is very well researched and written, with clear and easy to follow instructions for you to build your own OpenStack homelab. I will definitely be upgrading to the Third Edition when it comes time to build my own lab! This is one of the strangest books I have read in a long time, but a really enjoyable read! 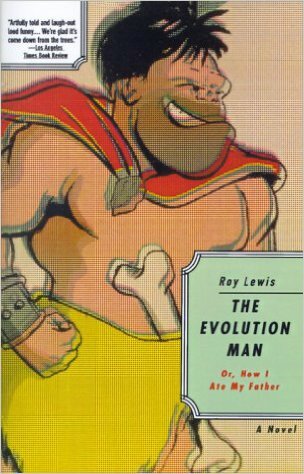 Originally written in 1960, it is a story about a tribe of cavemen of the Pleistocene era, trying to pass through multiple evolutionary leaps within a single generation, and covers everything from their discovery of fire, cooking, improved hunting techniques, domestication of animals, etc, but ultimately it is a story about the friction between progress and those who wish to avoid it!You might be wondering how the author manages any compelling dialogue with prehistoric tribespeople? The good news is, that’s the best bit! All of the characters speak as if out of the pages of a 1920’s period drama, or perhaps even the drawing room of Charles Darwin himself! The juxtaposition of the characters and their dialogue is really what makes the book so special in my opinion. This book blends analysis of the history of technical innovations, with economics. It’s not my usual type of read, but it turned out to be fascinating on multiple levels. The geek in me enjoyed reading about the developments in technology and analyses of how they impacted the modern world, along with the predictions about where and how the authors believe technology will change our future. The parent in me took a lot of great ideas about how to advise and guide my children when they get to the age that they need to start thinking about their careers and university choices. 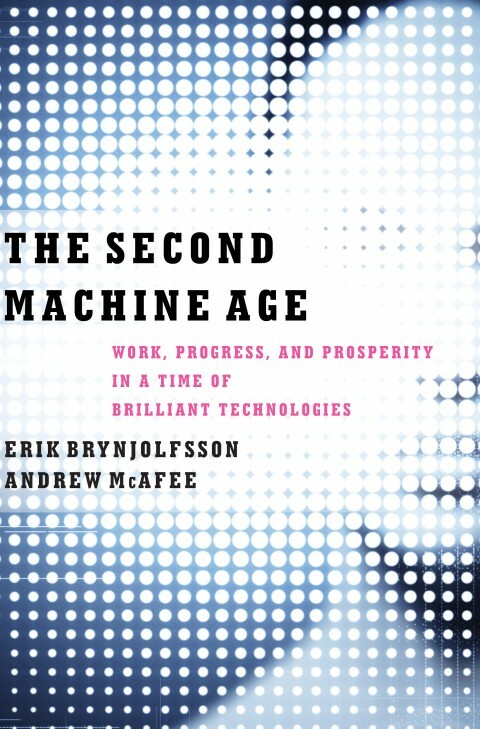 One of the key recommendations made in the book was how people can remain valuable knowledge workers in the new machine age: “work to improve the skills of ideation, large-frame pattern recognition, and complex communication instead of just the three Rs”. If you want to understand this more either for your children or yourself, I definitely recommend you read this book! So what’s next on my list I hear you ask? (Well maybe not, but I’m going to tell you anyway! )… The Tin Men by Michael Frayn (another Pratchett recommendation), most likely followed by Google’s recent Site Reliability Engineering publication. A bit of good news… It’s time for a change!